Charleston bartender extraordinaire Ryan Casey was always a sharp dresser. Yet since becoming the bar manager at The Dewberry, Casey is dressed even more smartly in well-cut pants and tailored sport coats with pocket squares, and dons a white dinner jacket when behind the bar. The smart, classic bar look is delightfully formal and, in a world increasingly clad in T-shirts and slide-on shoes, an immediate standout. The same could be said of The Dewberry, the former L. Mendel Rivers Federal Building that underwent a thoughtful renovation and transformation from an office building to one of Charleston’s chicest destinations, right in the heart of the city on the edge of Marion Square. For Casey, the white dinner jacket attire is a “uniform” two years in the making. 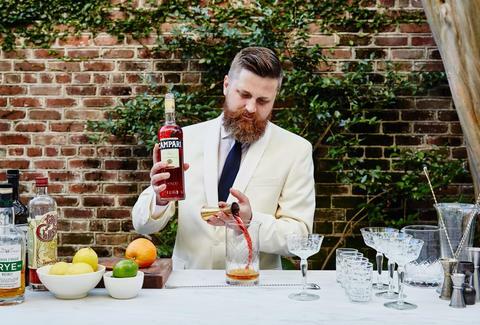 He’s a bartender who created a fine reputation with inventive cocktails at FIG, McCrady’s and Edmund’s Oast (along with a lot of double-tapping on his Instagram account), and when it was time to spread his wings, The Dewberry’s visionaries got word. Casey started with a cocktail tasting interview and eventually, a blank slate to collaborate. 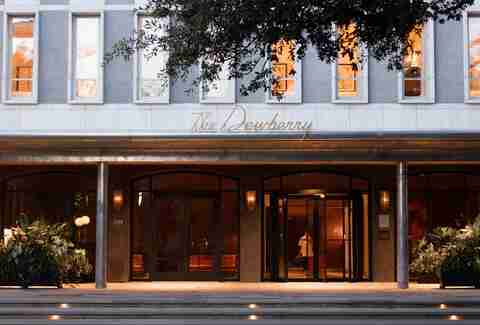 While the results are beautiful, it was a painstakingly slow process for many Charlestonians who waited for eight years to see The Dewberry unveiled. All work was born out of the vision of owner John Dewberry, who applied his ultra-detailed “Southern reimagined” mantra to all aspects of the project, including most of the management. The resulting team of architects, designers, lighting experts, and service professionals created a study in mid-Century modern that has been modernized to such a perfect level that it is is quickly becoming one of the most photographed interiors in the city. But it’s not all good looks. The Dewberry is a damn fine spot to have a drink, and that’s greatly in part because of Casey. For those not associated with the project, the new hotel seemed to be a perpetual promise whose specs were purposefully kept under wraps. But Casey’s hiring created a buzz in the culinary community; if he was going to the Dewberry, then something must be about to be good over there. You should definitely believe the hype. Casey has created something unique in Charleston: a hotel bar that locals frequent but that still appeals to travelers. 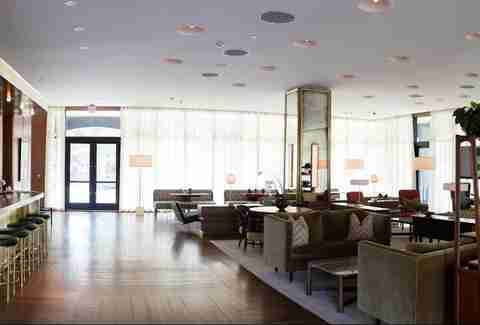 It’s a place to have a fancy drank or celebrate pre- or post-event, a place to sip a classic or to try something new. 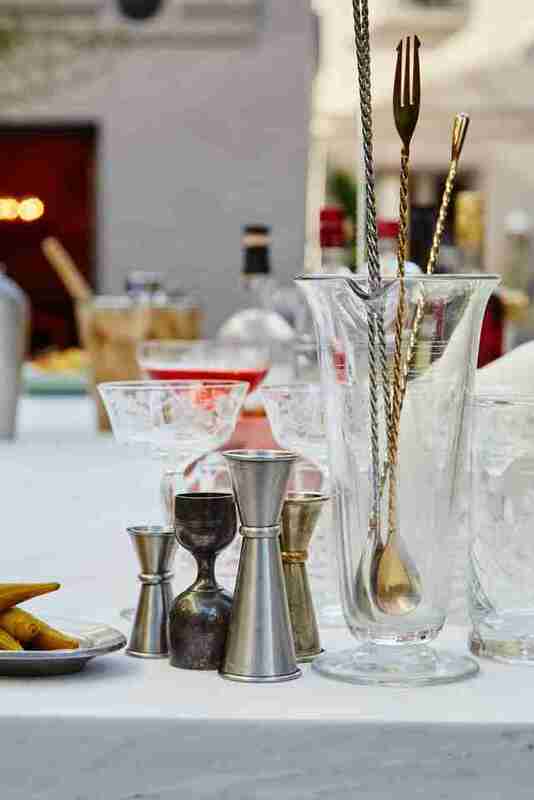 It’s also a place to revel in how a beautiful room can make a beautiful drink taste better, and invites pause in the most refined way. And in a city increasingly filled with people, you just might see someone you know. “Many of us are friends that work in this [food and beverage] industry here, and so they were excited to see what I was going to do here. And many have visited and have been kind to start recommending this as a spot to their guests now. This is all word of mouth; we’ve done almost no advertising,” Casey said. The epicenter of activity is often the Living Room, the beautifully appointed lobby bar where the focus is on stirred cocktails. This contrasts Henrietta’s, the hotel’s restaurant, which focuses on shaken, lighter, crushable cocktails meant to accompany food. Casey wants you to spend time in both, but he is particularly focused on making you feel at home in The Living Room. “We called it [Living Room] because we want Charleston to feel comfortable here, to have meetings in the morning here then cocktails later,” he explained. The bar looks better -- and has better cocktails -- than any living room most of us have ever called home. The Living Room’s cocktails follow the “Southern reimagined” theme, with full-bodied, intense classics that look back to 1963. While the Old Fashioned is a common cocktail, Casey and team “make it classically prepared and then dressed to the nines.” Casey also juxtaposes those traditional drinks with boundary-pushing modern cocktails, such as a mezcal drink that floats a skewered habanero and is garnished with black salt. 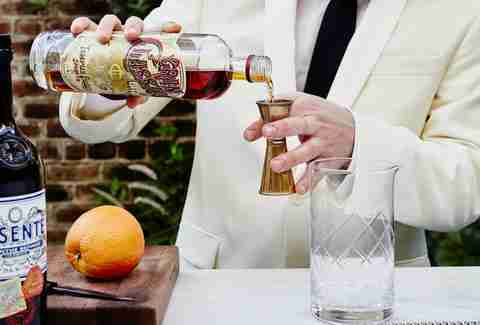 It’s all about details, which starts with liquor choices that include a 10-year old Private Label Plantation Rum just for The Dewberry, to a surprising selection of cognac in a Bourbon-drinking city. Even the ice is nice -- clear, chunky, and hand-chipped, then served in very particular glassware, glassware that seemed to become Casey’s obsession. “For each glass in this bar, we looked at at least 15 choices,” he said. There’s the classic “Mad Men” style highball glass that sits next to a brandy snifter so large it can hold an entire bottle of wine. Casey chose from 90 different wine glasses to choose just the right one. Stephanie Burt is a contributor for Thrillist who loves bitter amaros and sweet conversation. You can hear her Southern accent weekly on The Southern Fork where she chats with some of the most interesting voices in the culinary South.